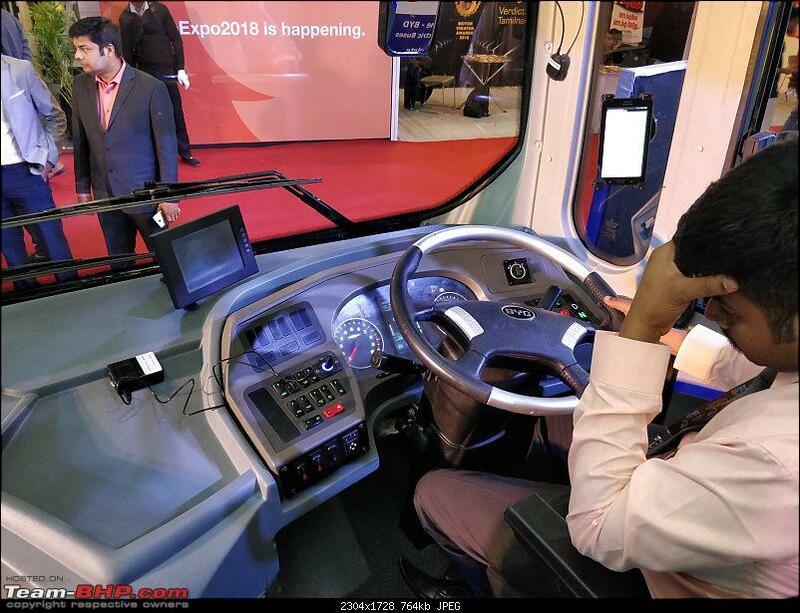 Big shoutout to .anshuman for shooting these pictures & his coverage of the Auto Expo. 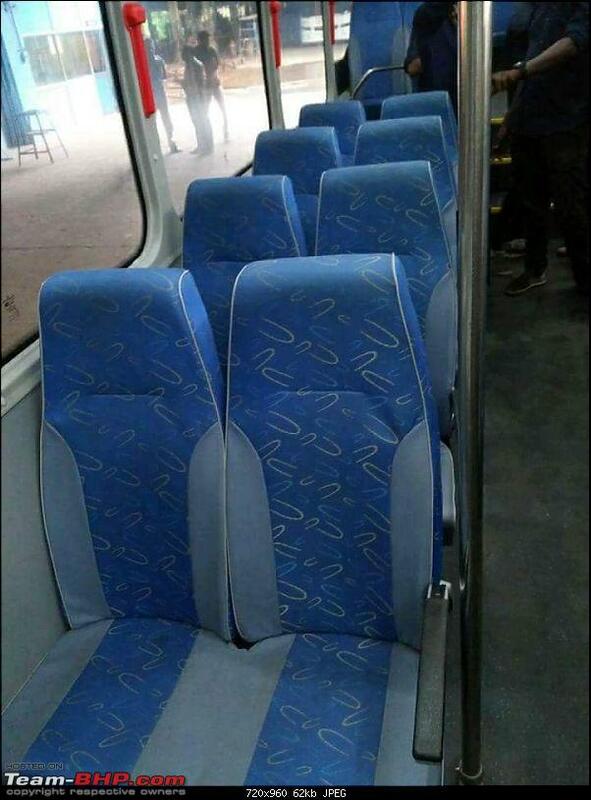 Thanks for sharing, man! 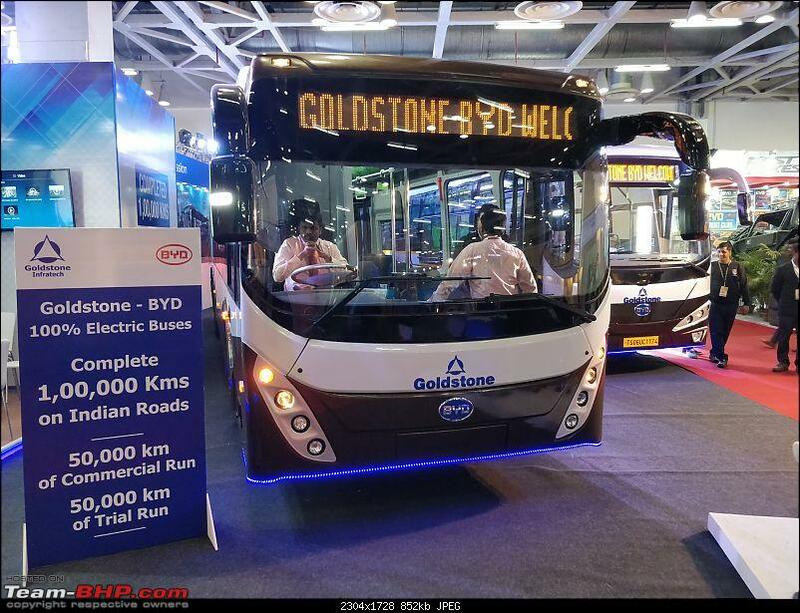 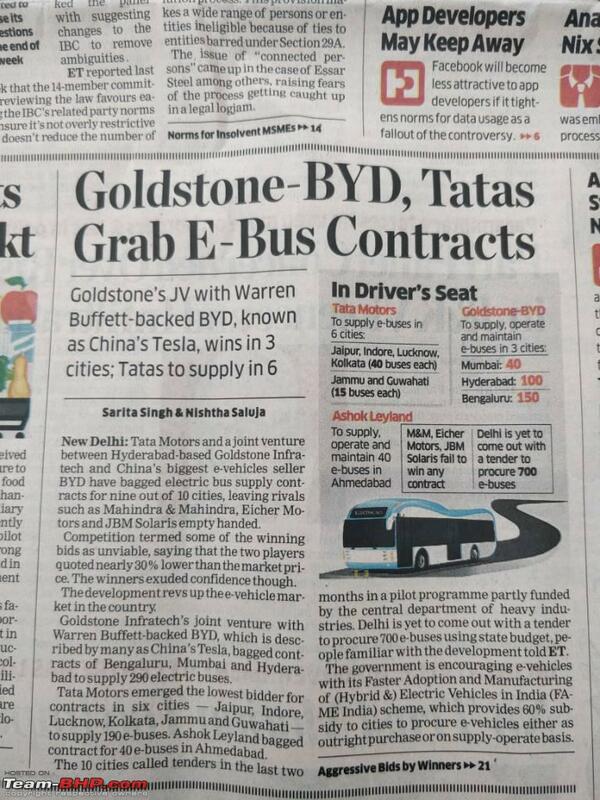 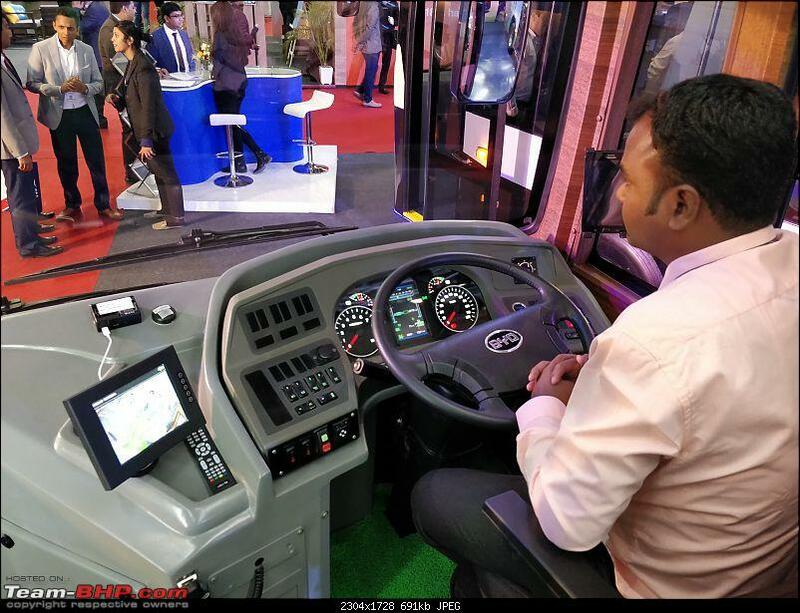 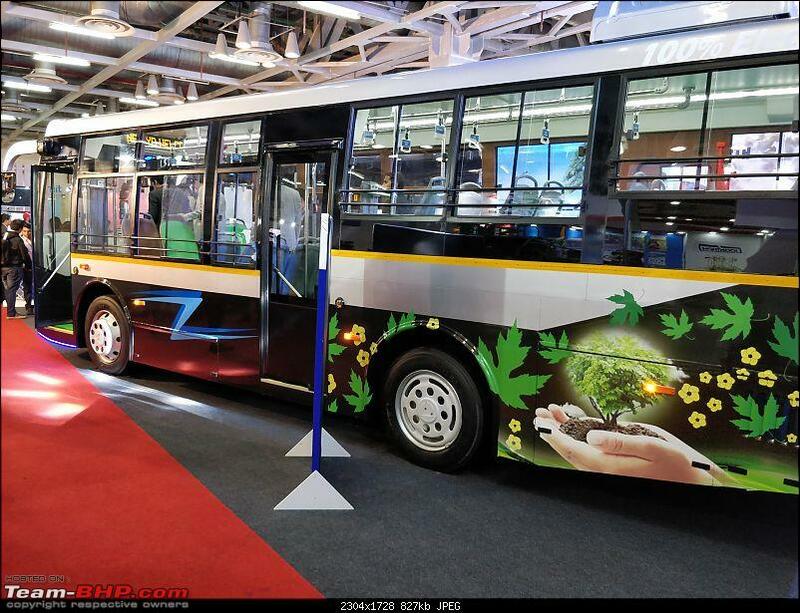 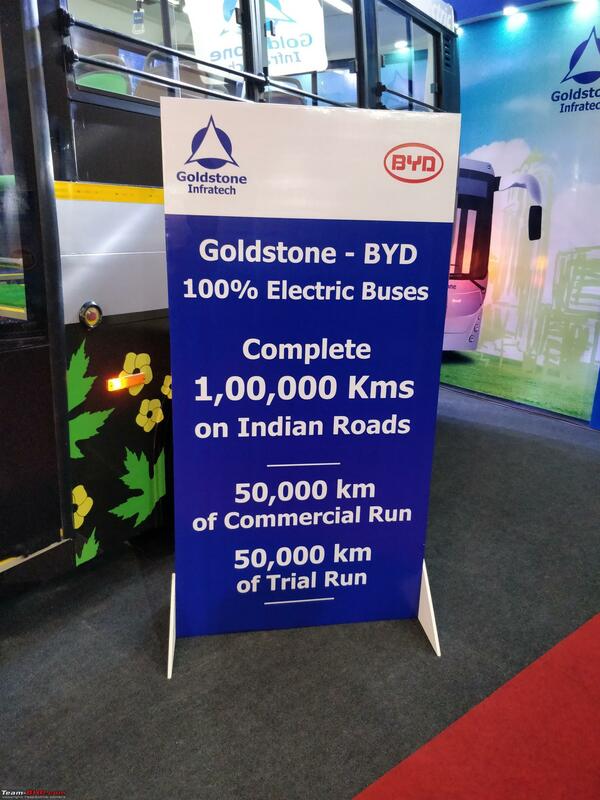 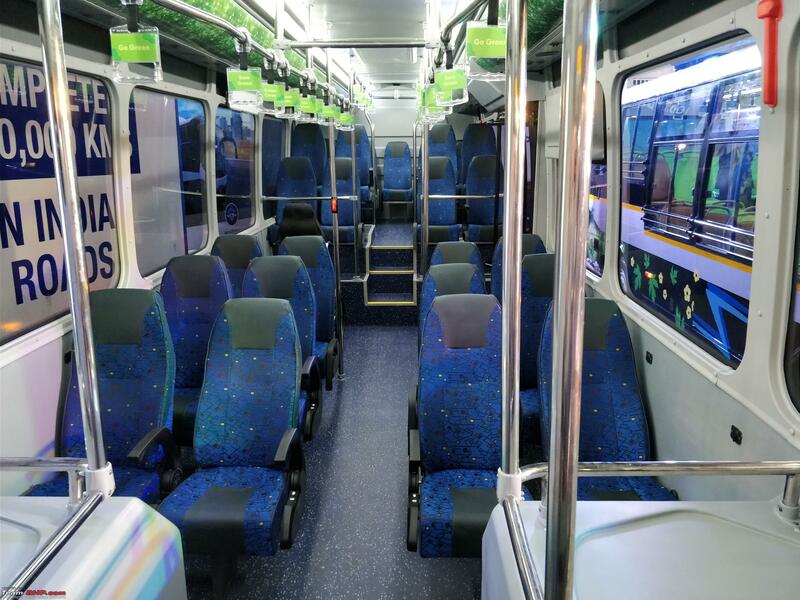 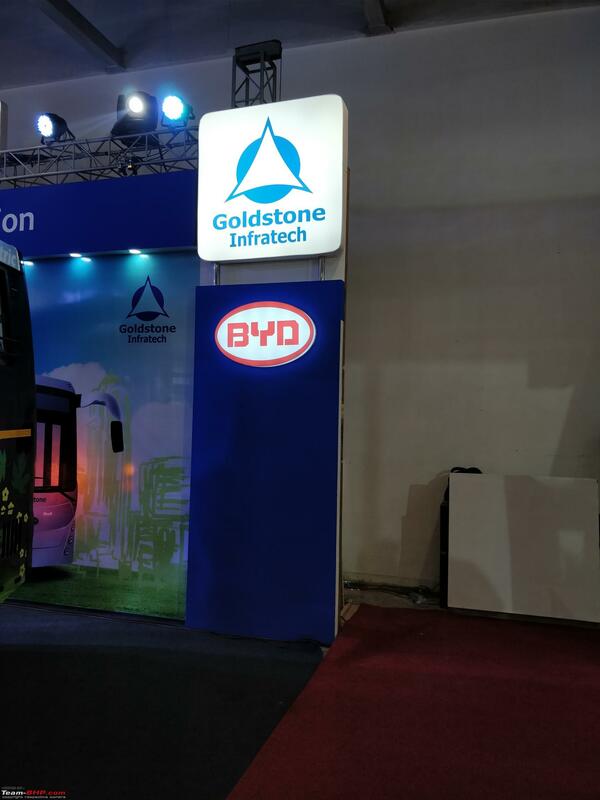 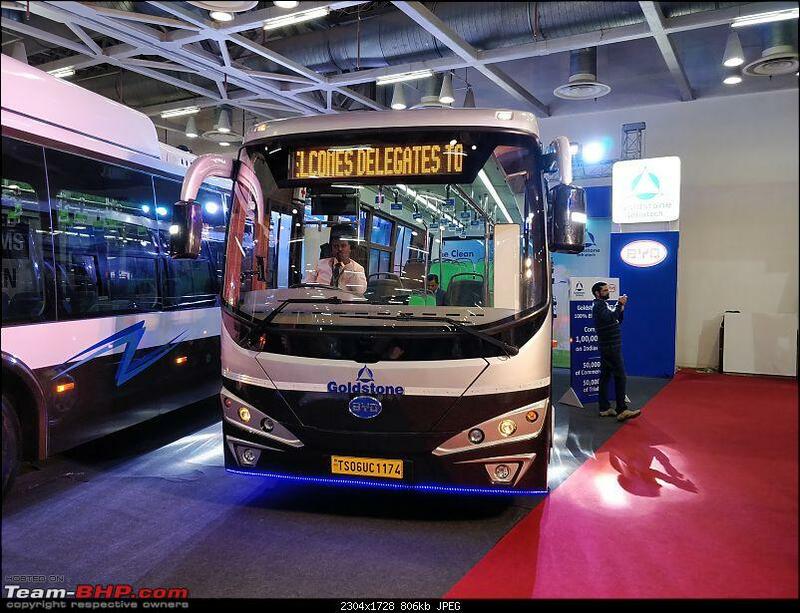 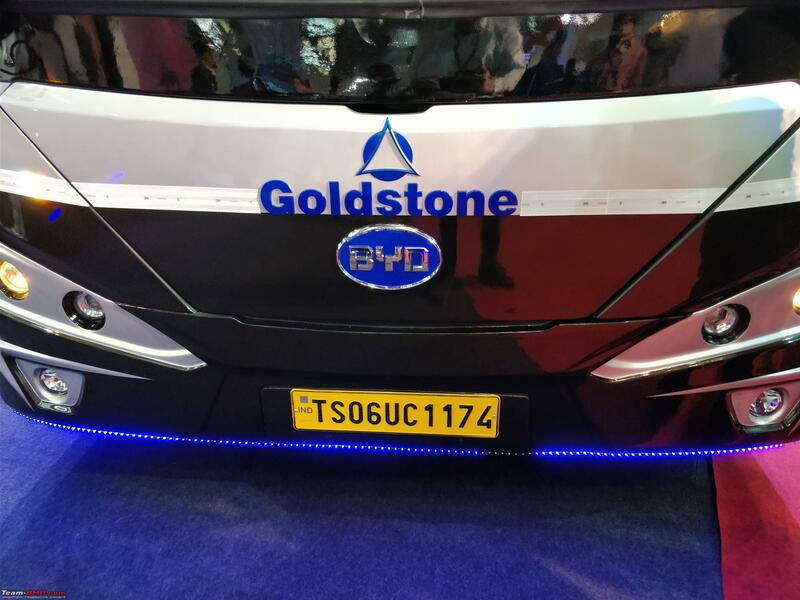 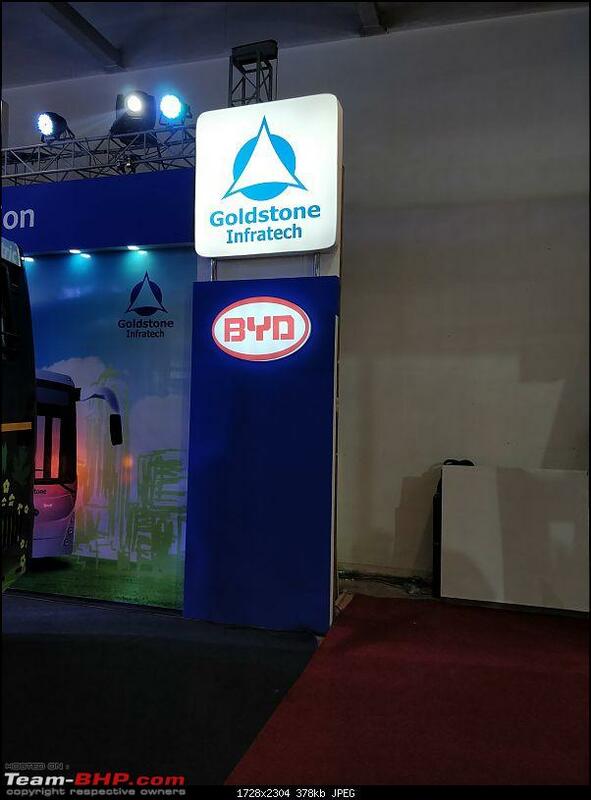 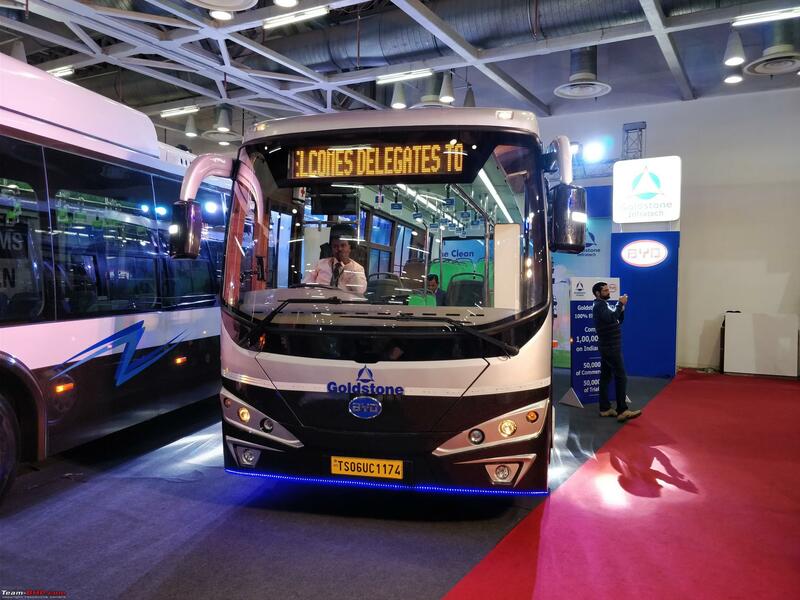 Goldstone Inftratech Limited showcased two of their electric bus offerings at the Auto Expo. 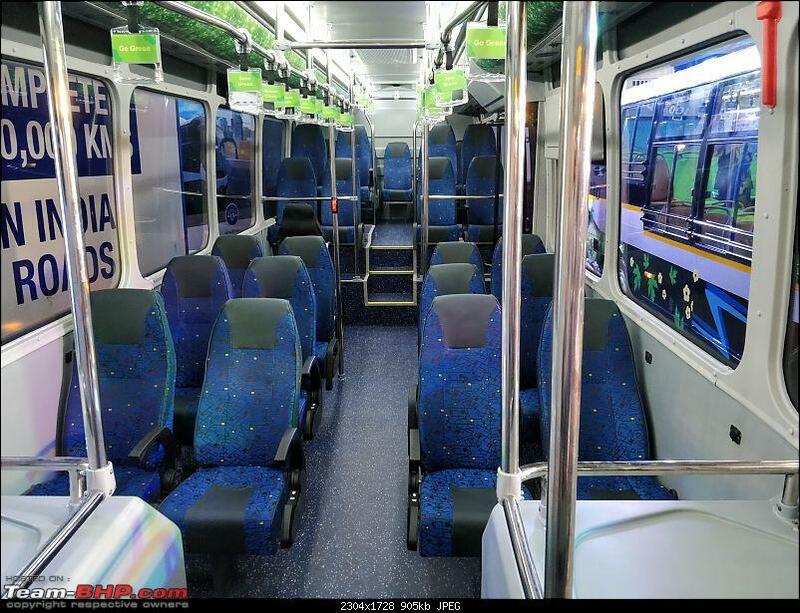 The all-electric buses are manufactured under a partnership with China's BYD Auto Industry Co. Ltd. - the largest electric vehicle maker in the world. 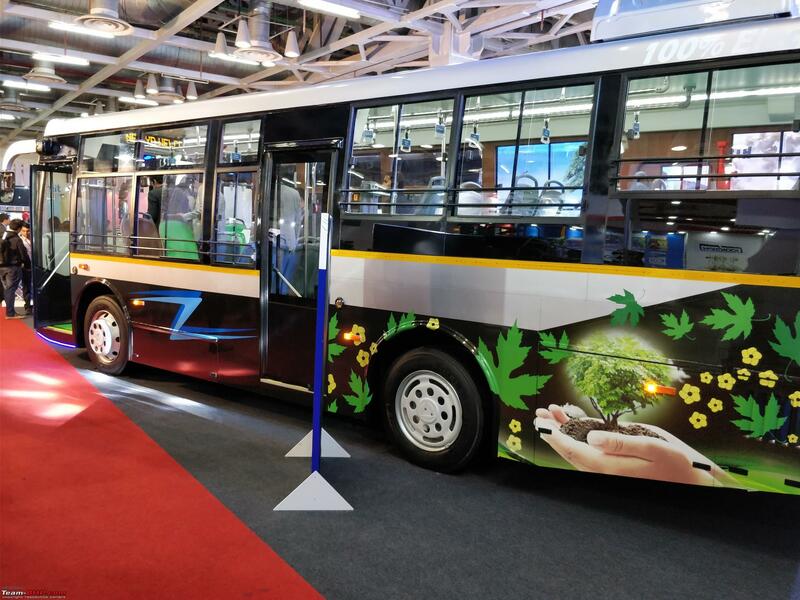 Upto 10 Tons of CO2 emissions saved every 10,000 km over regular buses. 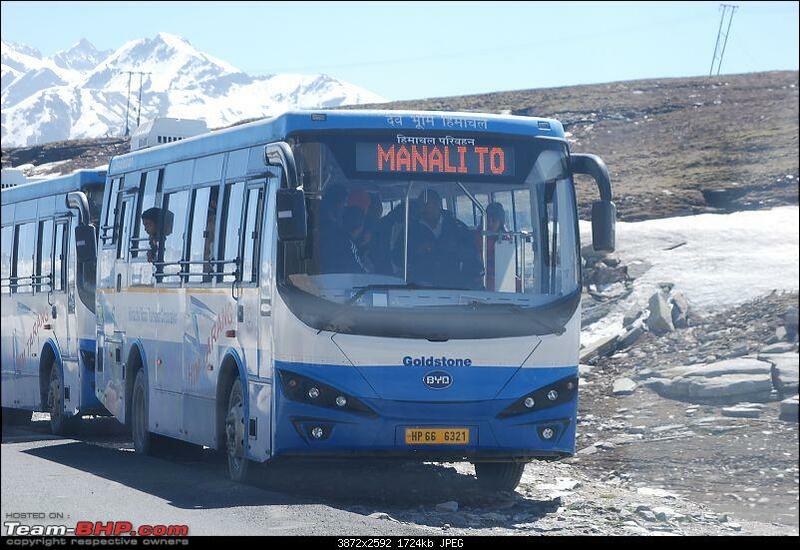 Buses already in service with Himachal Roadways and BEST, Mumbai. 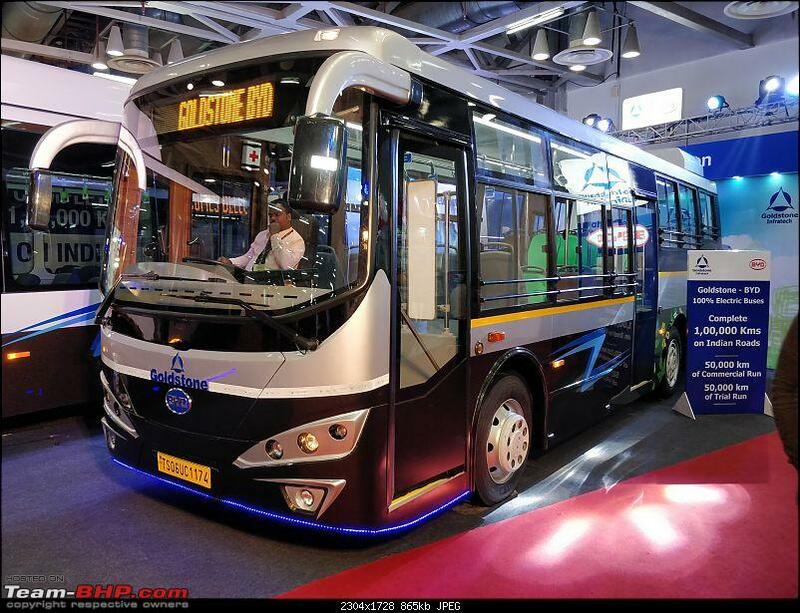 250 km range @ 70 km/h and full charge time of 4 hours. 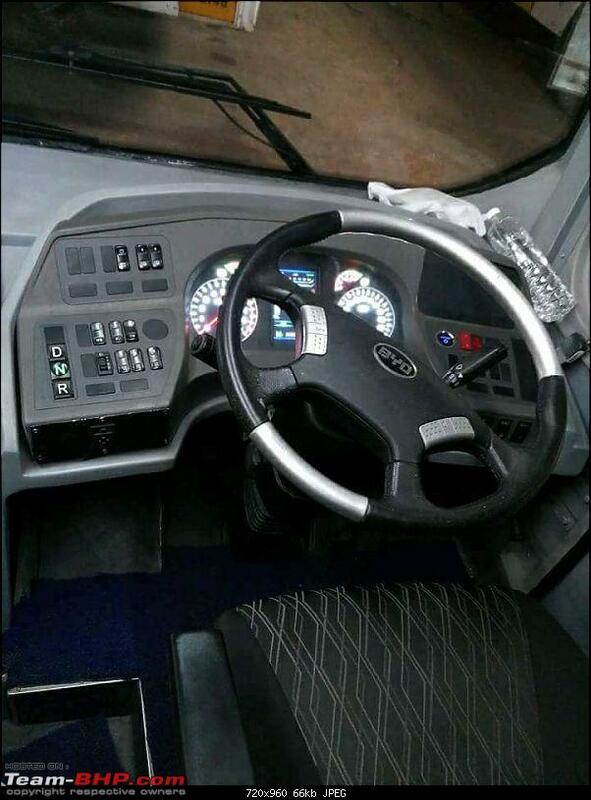 Uses in-wheel motors, so they don't eat up into the cabin space. 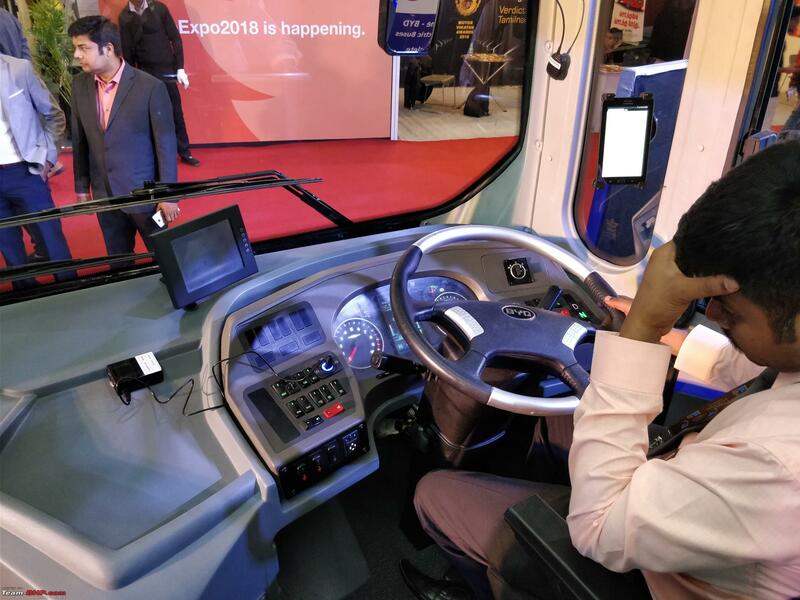 Electronically controlled air suspension system as standard. 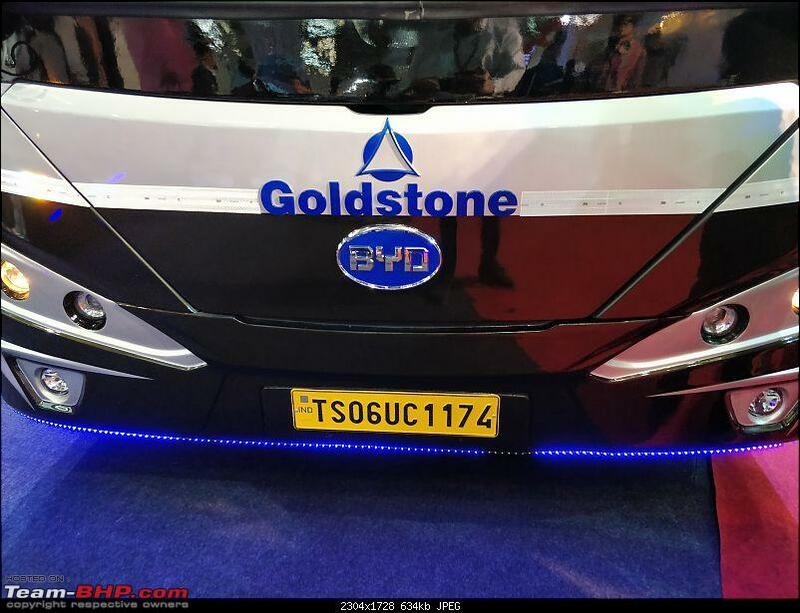 Last edited by blackwasp : 9th February 2018 at 20:59. 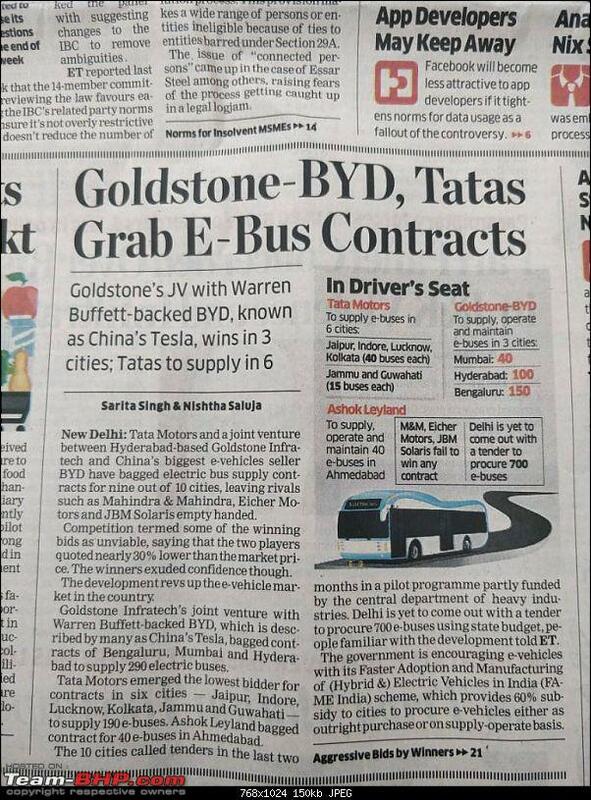 Well they are walking the talk on this. 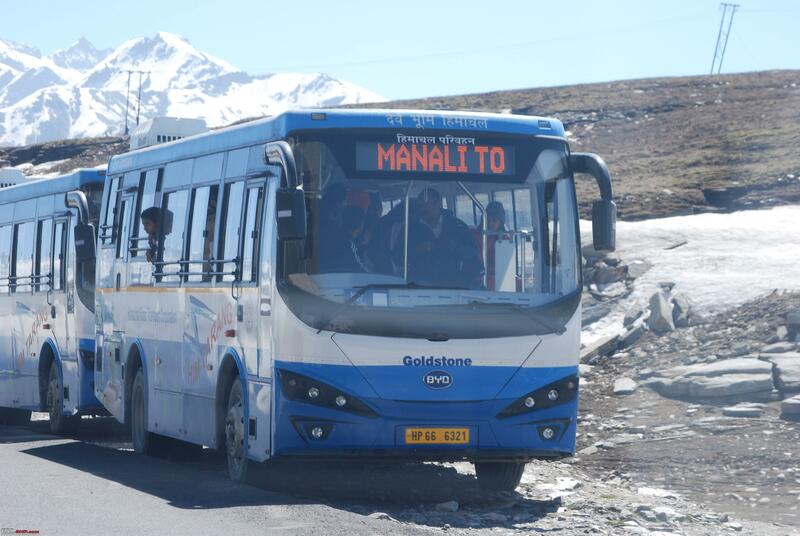 During my Kodiaq expedition last week and was following this bus which seemed to smoothly climb up the Rohtang Pass. 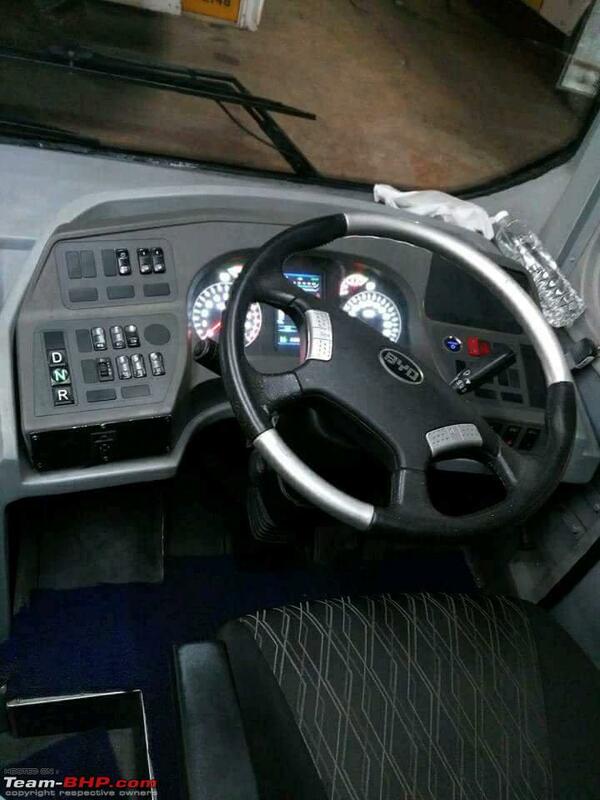 We overtook it and later stopped to take some pictures. 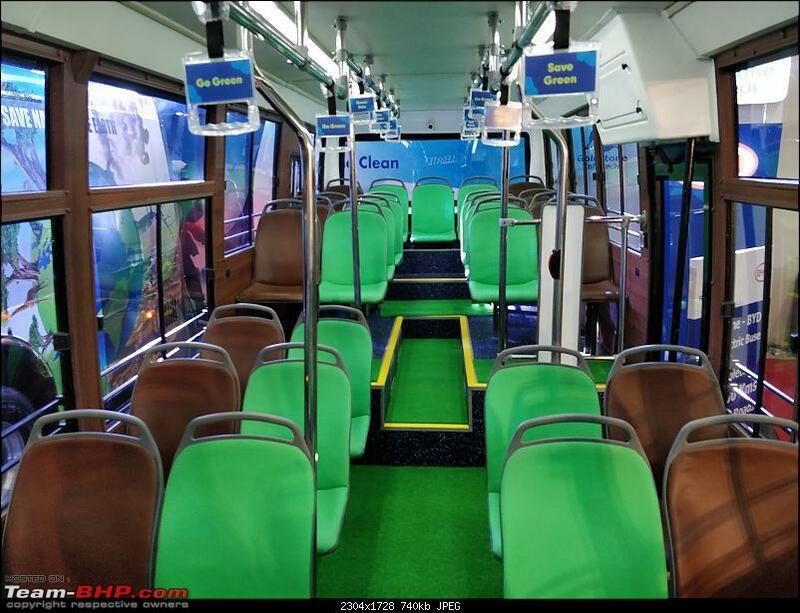 This bus passes us and the first thing, I noticed was how it whined quietly uphill. 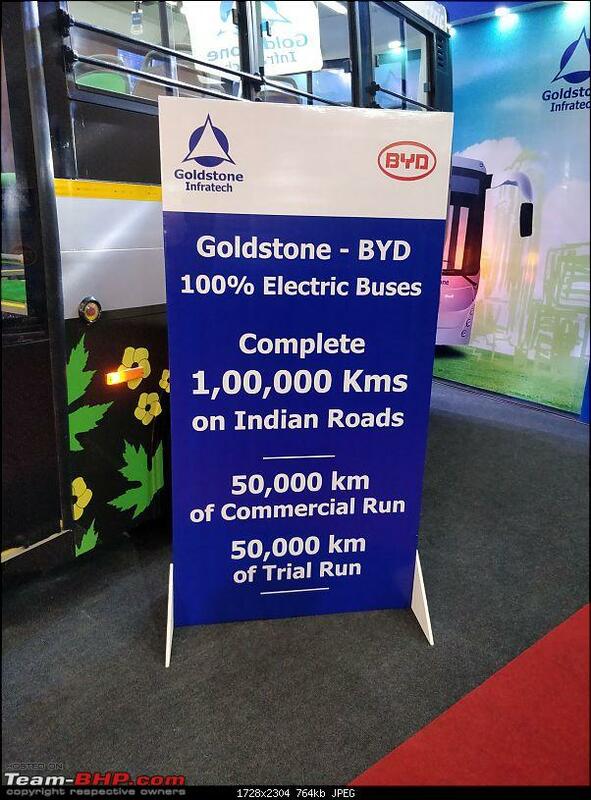 Caught up with it at the top of Rohtang Pass and noted it was a BYD electric bus. 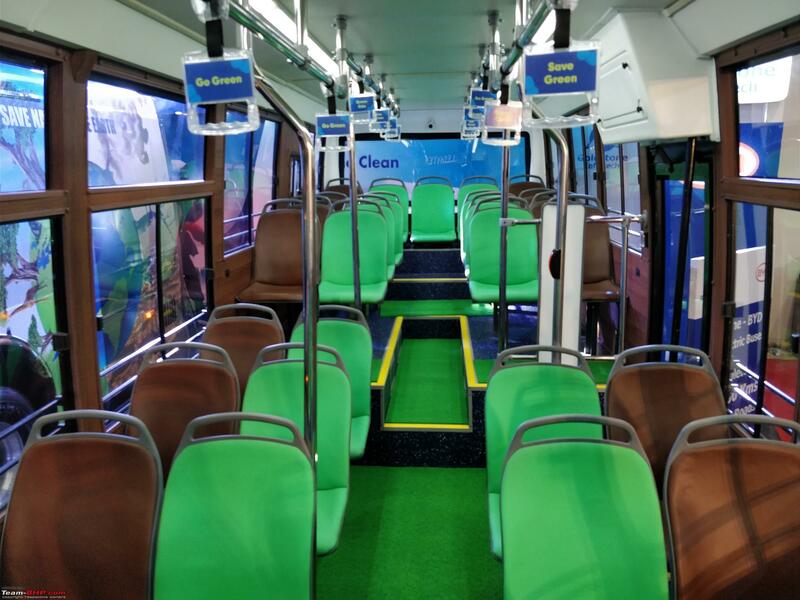 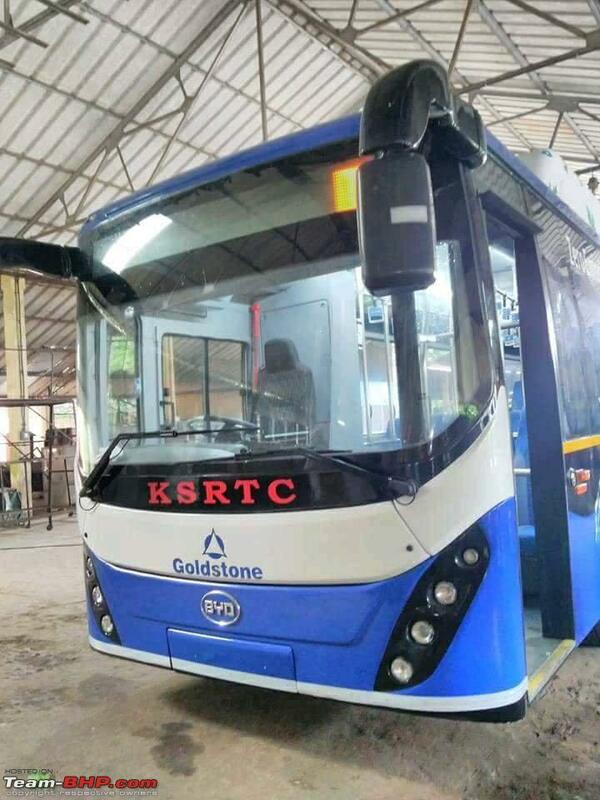 KeSRTC will start testing of BYD electric buses in Trivandrum from 18th June. 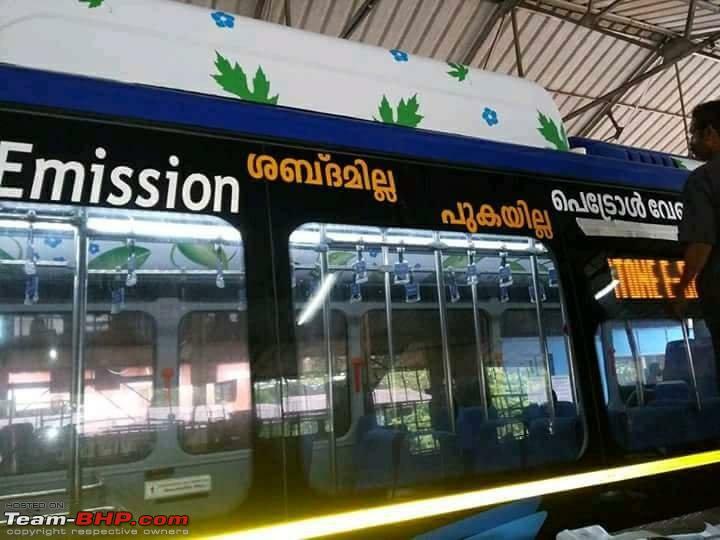 Bus has already arrived at Trivandrum. 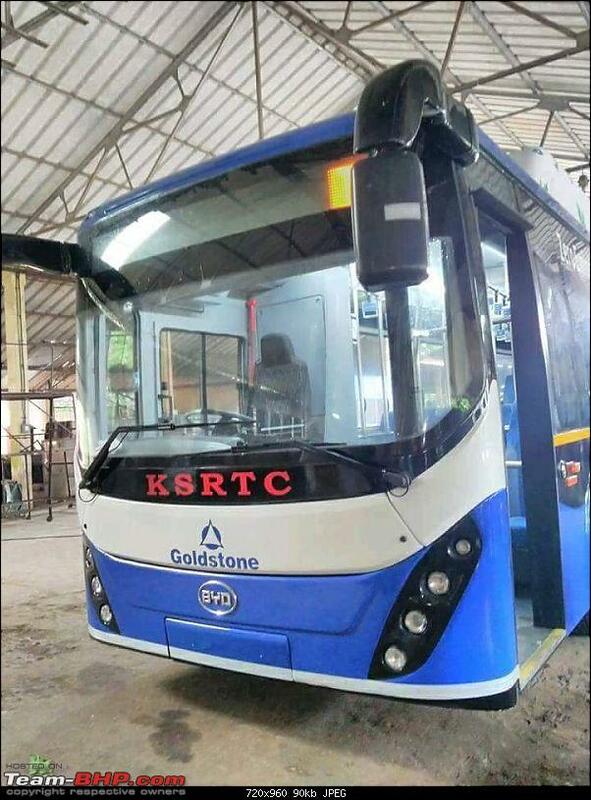 pic Courtesy KSRTC Facebook page.